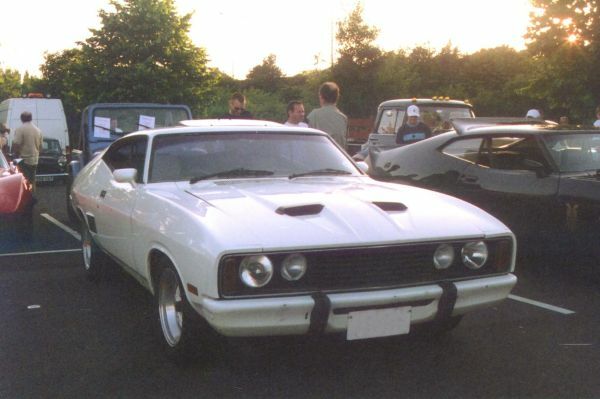 Rick’s XC coupe was brought to the U.K. when its Australian owner moved here in 1998. 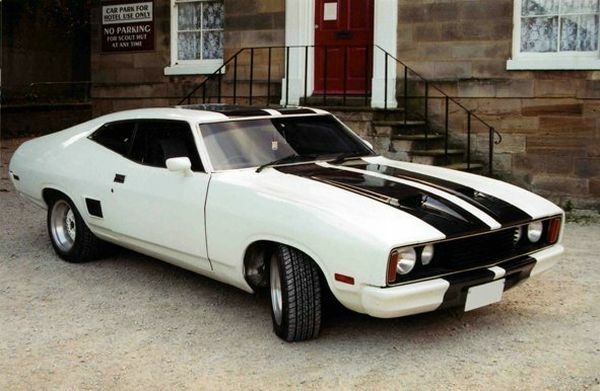 Unfortunately, he did not stay long and sold the car to a friend of Rick’s when he returned home. 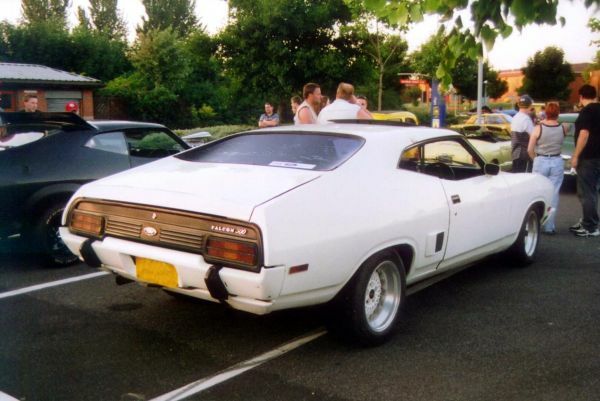 Rick’s friend did not put too many miles on the car, and Rick had first refusal when he came to sell it in May, 2003. 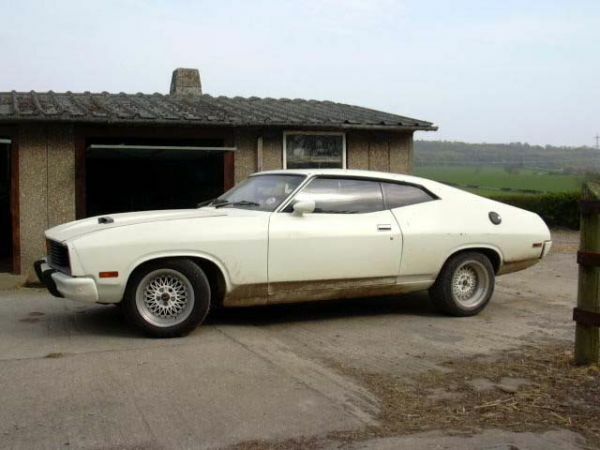 The car has a 351ci Cleveland V8 engine, FMX automatic gearbox and four wheel disk brakes, plus, as he points out, no power steering, which makes for muscle building. 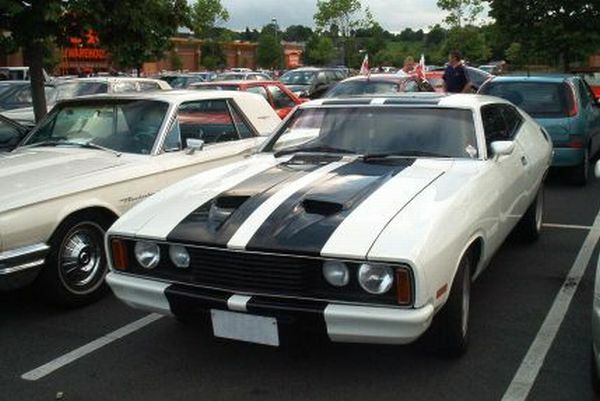 As you can see from the picture above, Rick lives near Adrian, and both have been out at the local Leeds cruise, showing everyone just how good Australian Fords are. 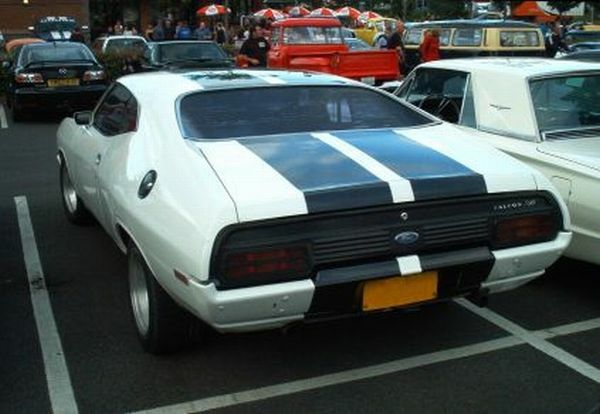 A couple of recent - July, 2004 - pictures of Rick’s car with its new stripes taken at the Leeds cruise.